As with many of the villages around Malatya, the most important export in Bekiruşağı is apricots. Both dried and fresh, these apricots make their way to open air markets in towns throughout Turkey. 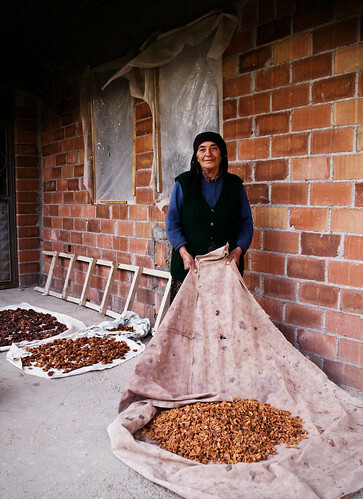 Here, Ayşe Pektaş shows off some of this year’s harvest, dried in the sun on the back porch of the house where she lives with her son’s family. ~ by anatolianimage on January 11, 2010. Wonderful! I was expecting young Ayse. Is this Ali’s mom? This makes me miss her even more!